The National Highway Traffic Safety Administration has been pushing for the implementation of event data recorders, known informally as “black boxes”, for quite some time. Next month the agency is expected to make it official, and mandate EDRs for future production vehicles. While no one would argue that safer cars are a good thing, the implementation of the EDRs in all new vehicles raises two significant questions: who owns the data, and how much will these devices increase the cost of a new car? EDRs have been installed in some vehicles since the 1990s, but the amount of data captured was often minimal. Early EDRs captured data only on seatbelt use, crash severity and system diagnostics, but current EDRs are capable of capturing and storing a lot more data points. One of those data points is pre-crash data, which can potentially show how a car has been driven over time. Do regular track days in your Corvette, for example, and the data may show an accumulation of excessive speed, braking and cornering forces. If you own that data, it’s one thing: in 37 states, there are no statutes barring access to EDR data, and in the 13 remaining states, police can still access the data with a search warrant. Thanks to EDR data, drivers have been convicted and imprisoned for causing a crash, which sets a legal precedence for admission of EDR data in court. Another issue the NHTSA has yet to address is the cost of implementation. 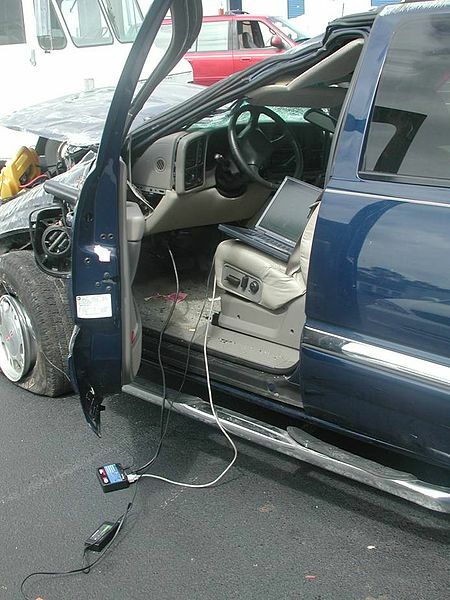 Unlike aircraft black boxes, automotive EDRs are not reinforced and aren’t fireproof. Last year, the NHTSA pushed for “ruggedized” EDRs, capable of withstanding severe crashes, fires and even immersion in water. As specified, the EDRs would have cost approximately $5,000 to produce, meaning that the cost of new cars would go up by some value greater than $5,000. Automakers aren’t in the business of losing money, and previous experience with manufacturing tells me that doubling a manufacturing cost before passing it along to consumers is often the norm. Are you willing to pay another $10,000 for your next car? Does a $33,000 Honda Civic Si sound appealing, especially if the data it records can raise your insurance rates or send you to prison? It’s too early to say what the NHTSA will implement for EDR requirements, but it’s safe to assume that some form of EDR will be required for vehicles produced in the near future. Whether that’s a good thing or a bad thing depends on your perspective, but I can’t say I’m thrilled with the prospect of higher car prices and monitored driving.